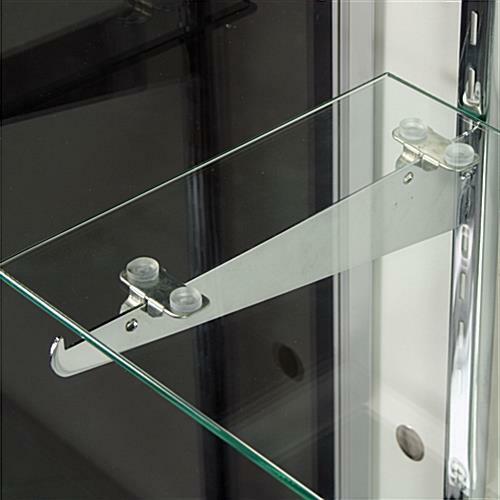 Full-vision tempered glass construction is a safe case! 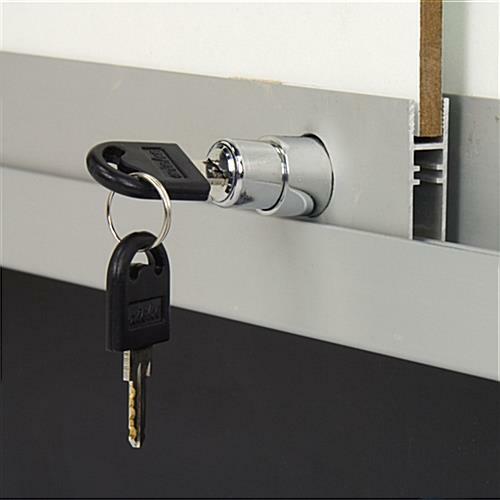 Easy 2-person assembly saves money on shipping costs! 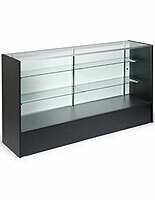 Glass cabinets provide a centralized area to store and showcase merchandise in a retail store. 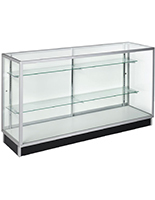 These 4' wide glass cabinets, also known as display cases, are a great choice for gift shops, jewelry stores, boutiques, makeup counters and more. Two adjustable height shelves (one 10" deep, one 12" deep), make it easy to accommodate products of varying heights within the cabinets. 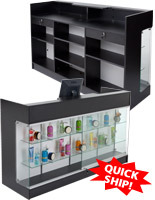 And, if you need to change out the cabinets' contents to showcase a new product line or set up seasonal displays, adjustable shelves are a great feature to have! Glass cabinets feature a full vision tempered glass design, so you can capitalize on all the vertical area these cabinets offer (viewable area height is 29"!). 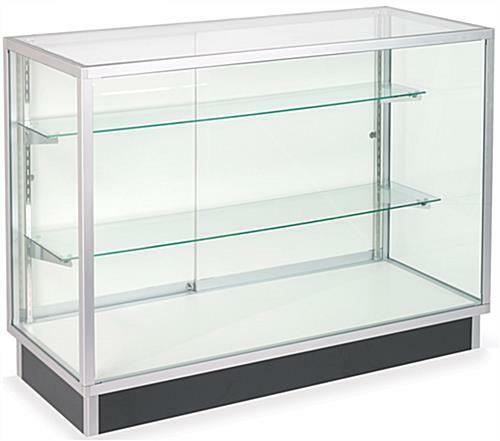 Tempered glass cabinets are a smart alternative to traditional annealed glass display cases. 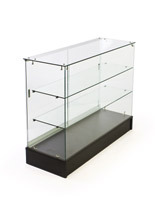 Tempered glass cabinets are much more durable, breaking less often than traditional glass cabinets. However, if they do break, the cabinets will break into small, manageable pieces, rather than the large shards left behind when traditional glass cabinets shatter. 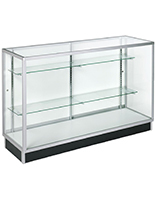 These display cases, glass cabinets also feature clear-coated aluminum extrusions, a recessed black kick plate, and sliding, locking rear doors. These glass displays ship unassembled. We also offer the 4' long cabinets assembled, but we have decided to offer these cabinets unassembled, as well, to save our customers money on shipping costs. This will also allow your glass cabinets to ship out today (if ordered before 1pm EST), instead of a 2-day lead time! Assembly is simple, but does require 2 people. 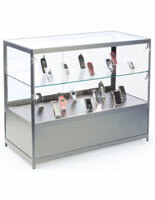 We have created an easy-to-follow assembly video to aid you in assembling these glass cabinets. Assembling these cabinets yourself will save you money on warehouse assembly and the fees associated with shipping large, breakable cabinets.